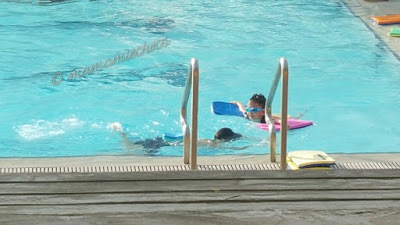 They have restart their swimming lessons after more than 2 years of hiatus. 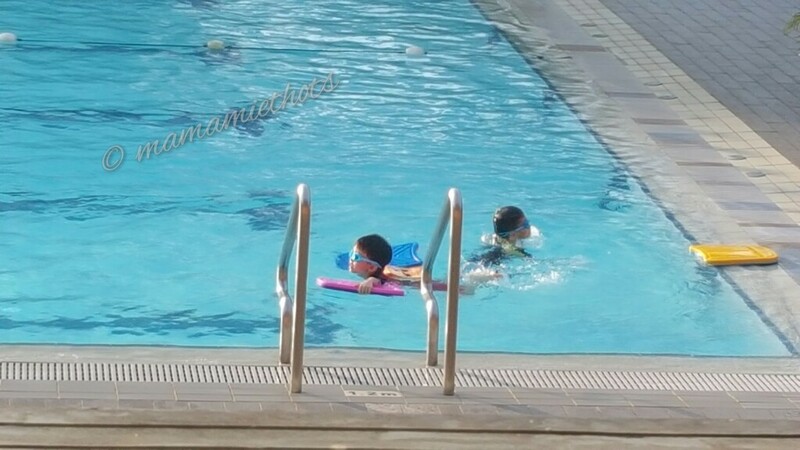 Both YS and YQ learnt before so they pick up their swimming techniques faster than Junior YS. 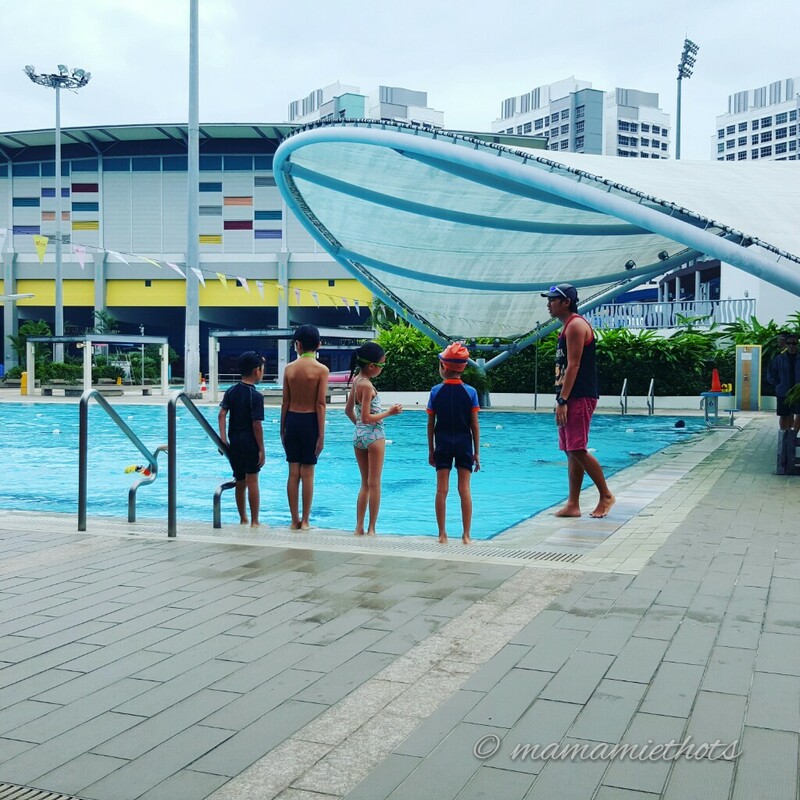 After more than 5 months of weekly lessons, Coach R felt that YS & YQ were ready to take the Swimsafer level 2 test. AS for Junior YS, I think he still need more practise before he can take the test. 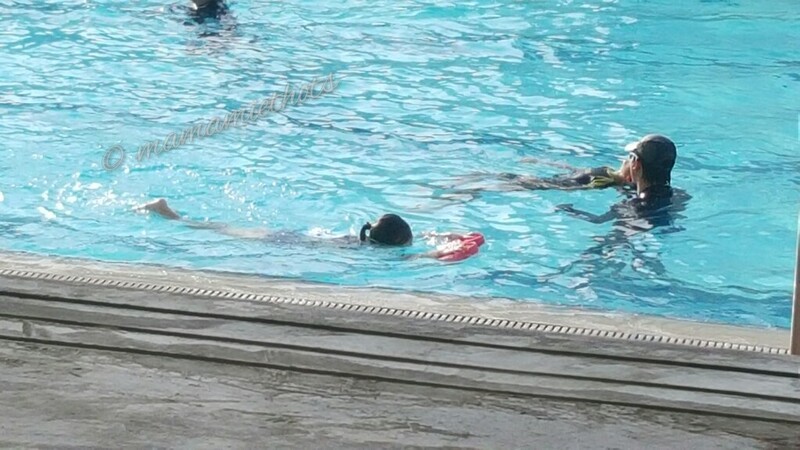 YQ was feeling quite nervous a few weeks before the exam simply because she was worried that she might have the stamina to swim properly. 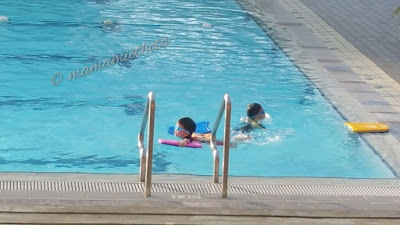 She had her practise a few days before the exam and felt that she has gained back a bit of confidence. 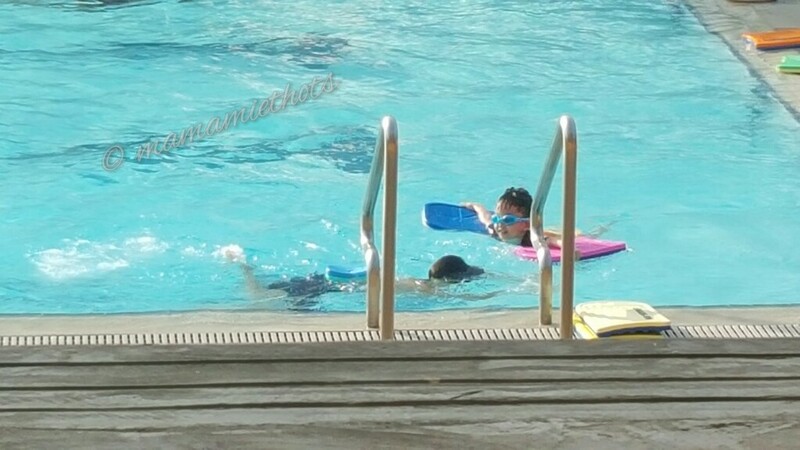 I'm glad to say that everything went smoothly on that day and both of them passed the swimming test. 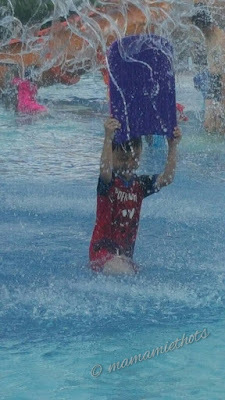 Looking forward to more swimming tests in the future and hopefully Junior YS will be good enough to take the test for the next round too.